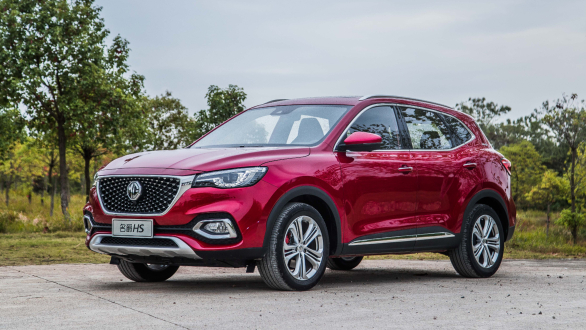 From all the speculation about MG Motor in the Indian market, this much is confirmed: they are more than set to enter the Indian market in Q2 of 2019 with an SUV, and they have 45 dealerships already on board. MG Motor's parent company, SAIC (Shanghai Automotive Industry Corporation) is one of the oldest state-owned Chinese manufacturers. 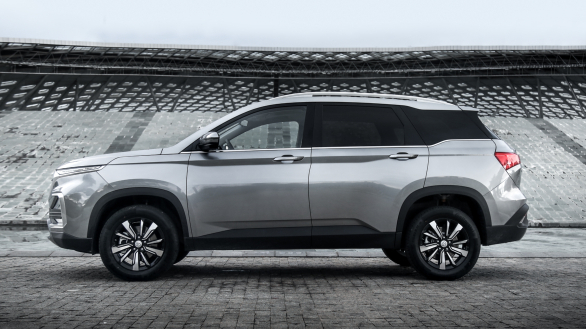 It has long standing JVs with VW and GM in China, and is the largest-selling manufacturer in China, with cumulative sales nearing 7 million units last year. Cumulative, of SAIC's various brands operating under it, namely under the Roewe marque for China, MG Motor internationally, and including the cars produced by the VW and GM joint ventures. One of which, is under the Baojun marque, as a more affordable alternative to the GM brands in China, Chevrolet and Buick. We've established SAIC is large, now onto plans for their first product. Unsurprisingly, it will be an SUV, and it will compete in the C-segment of the market. The SUV will be sized larger than a Hyundai Tucson, and will possibly offer seven seats as well. We were teased with a silhouette  which closely matches the recently launched, and China-only Baojun 530. However, we were reassured that the vehicle would be re-engineered for India, and would be redesigned to incorporate MG's DNA and design  something that the brand has extensively reinvented recently. We can expect to see MG's 'Star Rider' grille and sleek headlamps, as seen on other MG models like the similarly sized HS. Similarly, instead of what's seen on the Baojun 530, we hope to see much more premium looking interiors. The latest crop of MGs offer slick all-digital instrumentation on a 12.1-inch scren, with a 10.1-inch touchscreen for infotainment, apart from the signature turbine-shaped air-conditioning vents on the far edges of the dashboard. Interiors of the recently revealed MG HS, which OVERDRIVE had access to. This is a quality feeling interior! 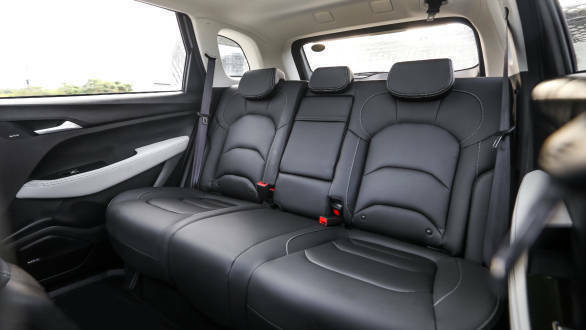 The China-spec 530 is a five-seater currently, but it is large enough to be able to accommodate a third row should the need arise. Just how large? It stands 4,655mm long, with a wheelbase of 2,750mm, which overshadows the Hyundai Tucson by 180mm in length, and 80mm in wheelbase. That almost puts it in the same league as the Skoda Kodiaq, at 4,697mm length and 2,791mm wheelbase. The real clincher is the claimed legroom in the second row. It's an unbelievable 330mm, which puts it on the same level as the long wheelbase Mercedes-Benz E-Class sold here! Yet, we've been told to expect competitive pricing, under or around the Rs 20 lakh mark. It will come with a choice of petrol and diesel engines, the specifics of which haven't been shared with us  though in China it gets a NA 1.8-litre petrol, or a 1.5-litre turbo petrol, mated to an in-house developed six speed DCT. We did however get a chance to experience some of the brand's powertrains, ranging from a 2-litre petrol with 231PS/350Nm torque to a fully electric 48kWh drivetrain with a 400km+ range. The former might make it to India, while the latter most likely will, under the hood (and floor) of MG Motor India's second launch planned for 2020. 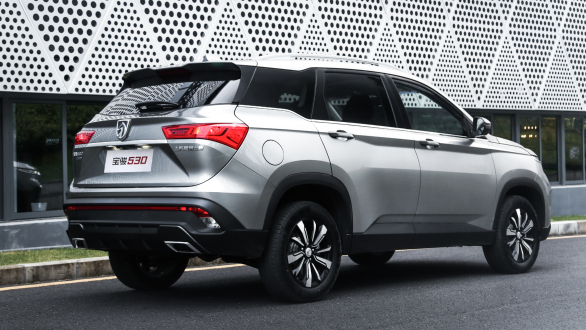 Once again, what we see on the Baojun and other MG products is purely indicative of what might make it to the final product for India. Both vehicles will be made at the Halol plant, in Gujarat, which will be equipped with a very high level of automation on the production line, as seen at the SAIC production facility in Shanghai. 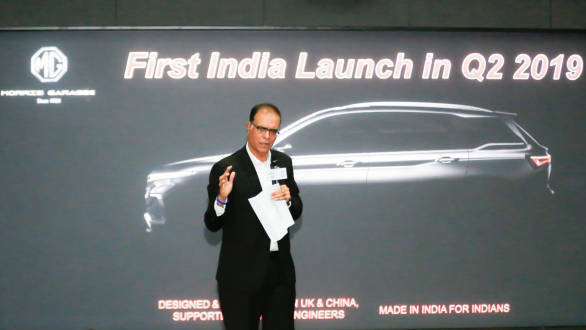 We have been told MG Motor India's first SUV will be heavily localised from the start, with numbers pointing at up to 75 per cent localisation, to keep prices competitive.